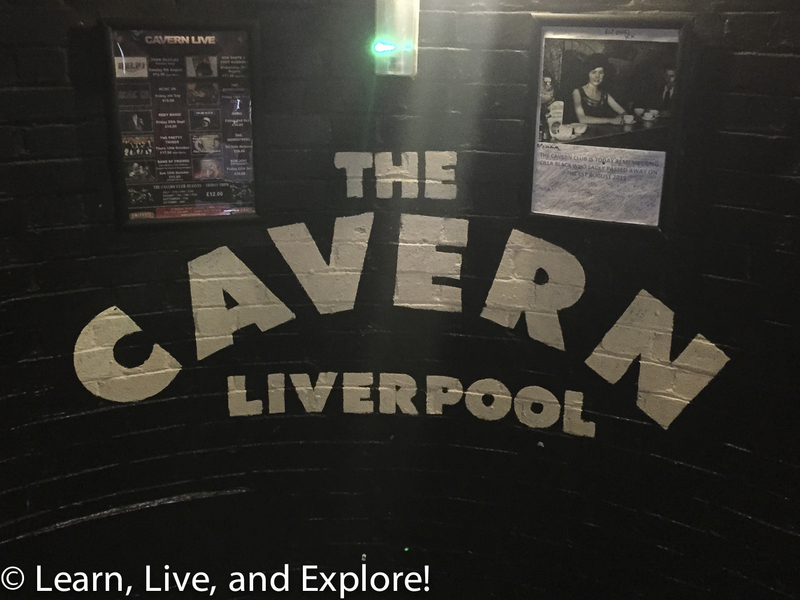 A Quick Beatles Adventure in Liverpool ~ Learn, Live, and Explore! 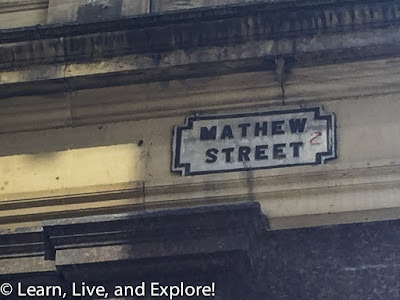 I was sitting in my hotel, planning out my next day in England's Peak District National Park, and it dawned on me that Liverpool was only a two-hour train ride away. 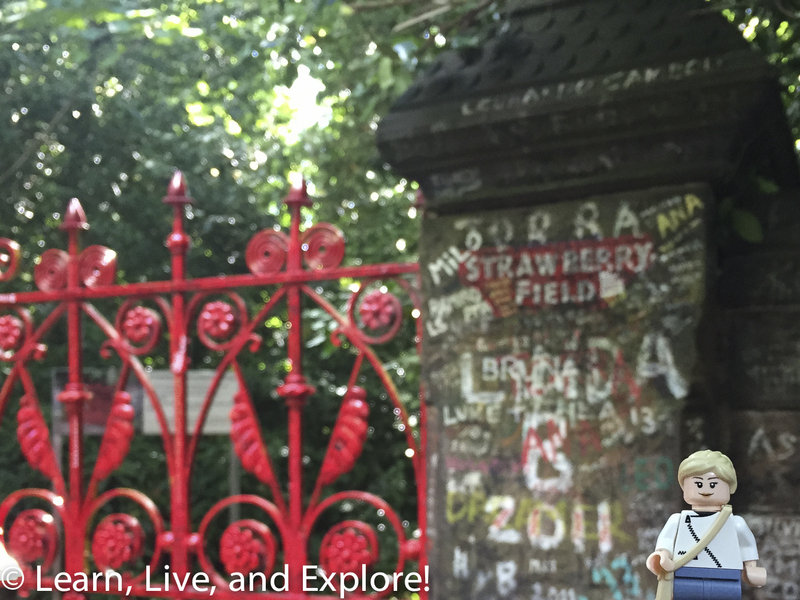 I started crunching the time numbers, and I realized that I could make a quick trip to Beatle "mecca" happen! In a few past posts, I have made my Beatle admiration...no, strike that, complete adoration...pretty obvious. I've talked about how meeting Paul McCartney randomly in St. Johns Woods one day made me cry in 2012. I made it a priority to go see the Cirque du Soleil performance of "Love" when I was in Las Vegas. 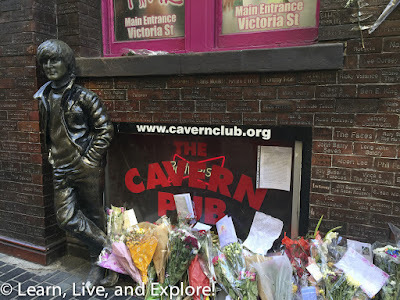 When I was in London in January 2014, I did a self-guided walking tour of The Beatles' sites. Finally, I told you about celebrating the 50th anniversary of The Beatle's first U.S. tour by seeing a cover band perform the actual set list from their February 1964 concert in Washington D.C. at the actual site - the former Coliseum. 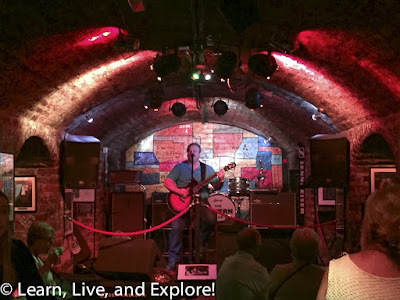 What I have not told you about is how, when I spent a year abroad in England during college, the first weekend trip I took was a train to Liverpool, where I visited the Beatles Story museum and took a tour on the Magical Mystery Tour bus. 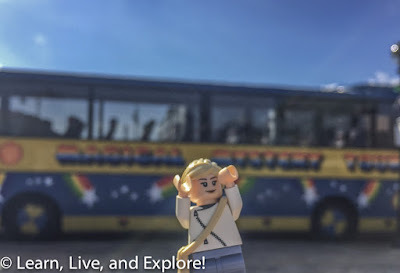 Well, guess what I did on this impromptu trip to Liverpool.....I visited the Beatles Story museum and took a tour on the Magical Mystery Tour bus! Arriving early into Liverpool, I made my way directly to Albert Docks to go through the museum prior to my 10:30 boarding time for the bus. It's not a huge museum, but I probably did not give it all the time it deserved. Part of the admission included an audio guide, but I know a lot about the history of the group, so with time constraints, I skipped a lot of the guide stops and went more for viewing the artifacts (which are eye candy for me!). 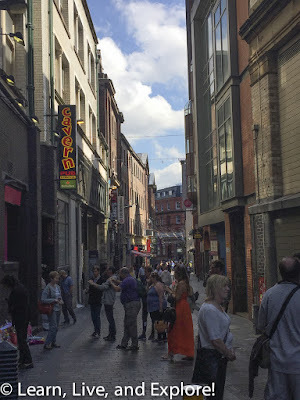 All too soon, it was time to go to the Anchor Courtyard in Albert Docks to get in the bus queue. I brought along my Lego doppelgänger to make the tour photos more fun. I need to apologize in advance because most of the photos were, just for convenience, taken on my phone and, too often, taken out a bus window. We only stopped to get off the bus four times on the two hour tour. Later, the Starkeys moved to another house nearby at 10 Admiral Grove, the pink and white house in the photo below. 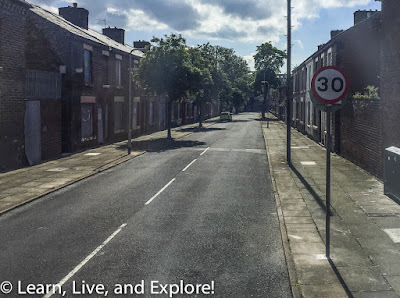 Next stop, we actually had to get out of the bus to make our way down a small street in Wavertree to get to 12 Arnold Grove, birthplace of George Harrison on February 25, 1942. Another drive by was done past the childhood house of Brian Epstein, manager of The Beatles until his death. 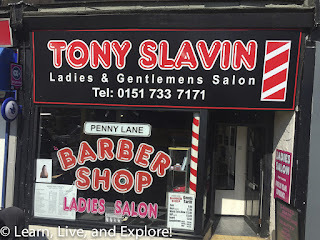 His family owned the North End Music Stores (NEMS) record store in Liverpool on Whitechapel Street, near Matthew Street where The Beatles performed and near Hessy's where several members of the band purchased their instruments on payment plans. 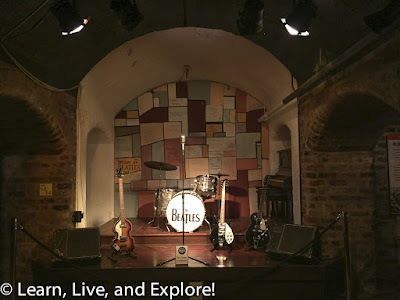 Brian Epstein first heard of this wild rock and roll band when fans kept coming into his store to get a copy of "My Bonnie," a single the band recorded in Germany with Tony Sheridan that The Beatles were giving out to local concert producers and radio stations. Based on the number of requests, Brian knew something big was going to happen, and he had to meet this band. Heading to the neighborhood of Woolton next, we drove past St. Peter's Parish Church. On a summer day - July 6, 1957 - John Lennon was leading his band, The Quarrymen, in a set of skiffle music at the outdoor church fete. 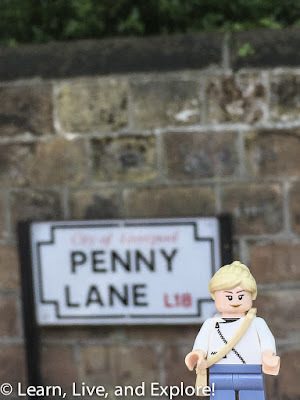 Paul McCartney was in the crowd on the invitation of Ivan Vaughn, a fellow schoolmate of Paul and boyhood friend of John, who also played bass for The Quarrymen. Paul officially met John later at the church hall where the band was playing again at the dance that night. Paul impressed John by playing Eddie Cochrane's "Twenty Flight Rock" and Gene Vincent's "Be-Bop-a-Lula." Two weeks later, Paul was invited to join the group, and the greatest songwriting duo was formed. 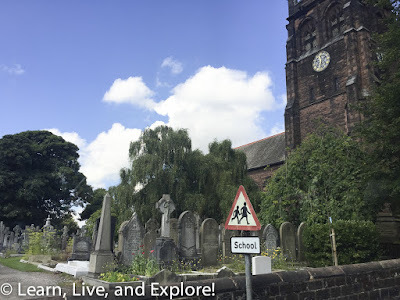 Another notable aspect of this church: in the grave is a marker with the name Eleanor Rigby. 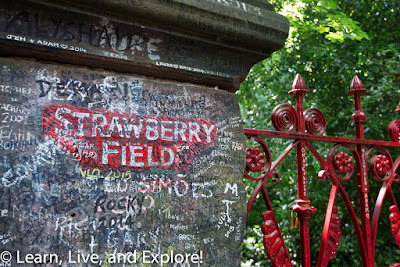 Also in Woolton, on Beaconfield Road, is the site of an old Salvation Army childrens' home - Strawberry Fields. 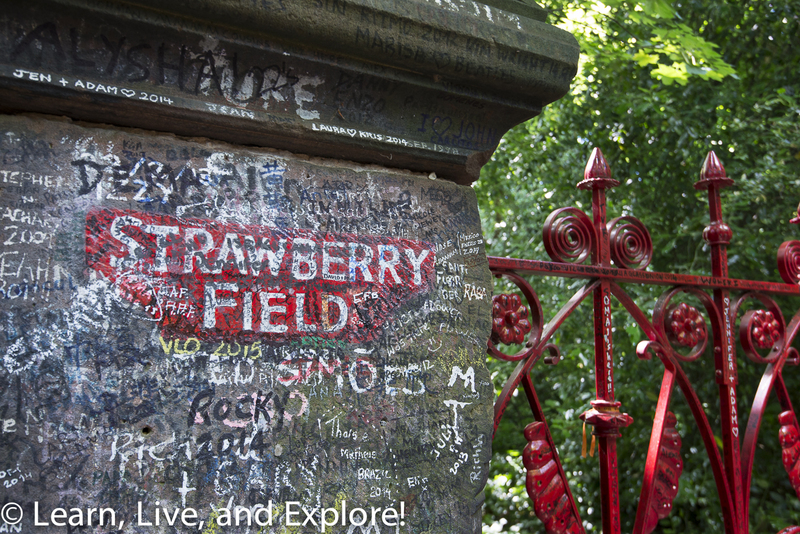 John Lennon used to play in the gardens of Strawberry Fields as a kid during garden festivals. 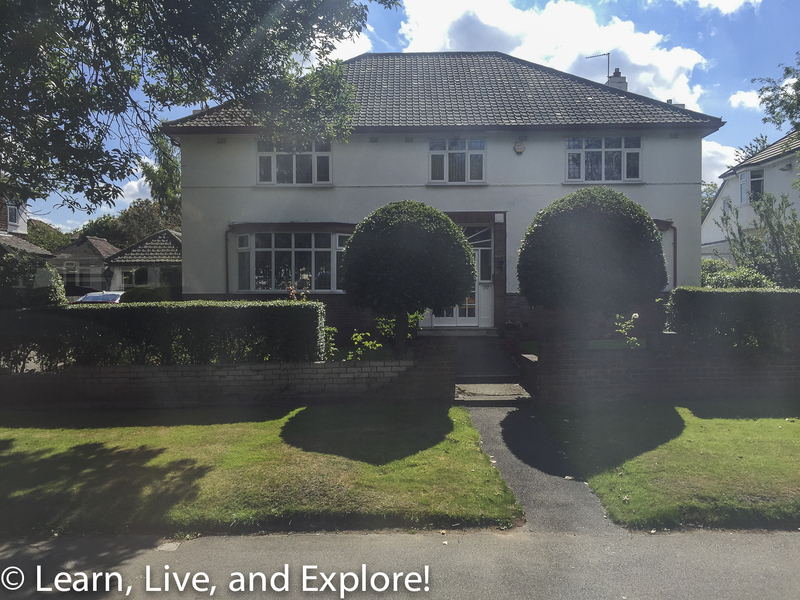 Speaking of John Lennon, we did a drive by of "Mendips," 251 Menlove Avenue, where John lived with his Aunt Mimi from 1945-1963. John's bedroom window is the left one on the 2nd floor. 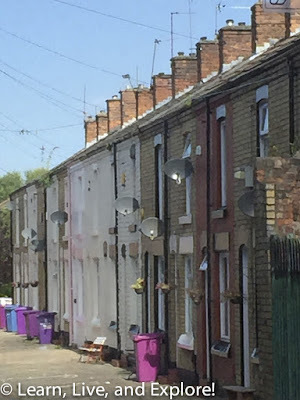 This home was an unofficial practice place for The Quarrymen and, later, The Beatles. Aunt Mimi made the boys play on the porch, though. John Lennon's boyhood home and Paul McCartney's boyhood home are both owned by the National Trust, and you can book a separate tour to see the interiors. 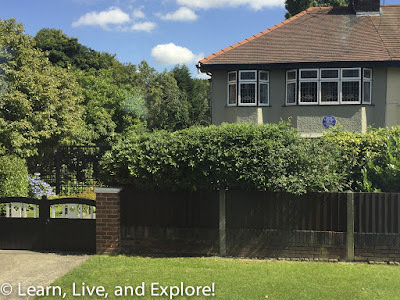 Paul's house at 20 Forthlin Road was where he lived from 1955-1963. Because they didn't have the Mendips noise restrictions at Paul's house, this was the site (in the front room) where Paul and John wrote over 100 songs, including some of their most popular songs off the first Beatles albums...."Love Me Do," "I Saw Her Standing There," etc. Heading back into the city, the tour passed by the Liverpool College of Art (Hope Street) where John attended with Stuart Sutcliffe (original Beatle who left the band during their early stint in Hamburg) and where John met his future wife, Cynthia. 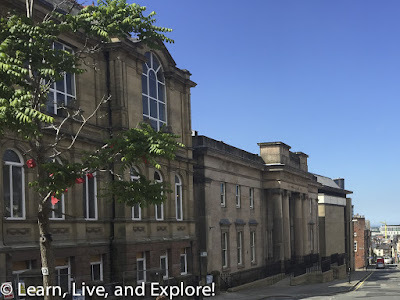 Just around the corner was the Liverpool Institute (Mount Street) where both Paul and George attended. 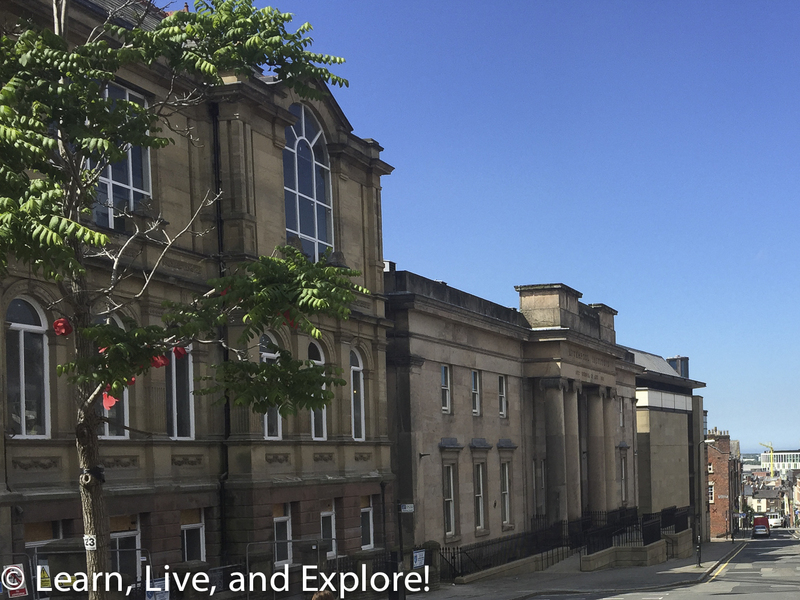 The Institute was closed in 1985, then reopened in 1996 as the Liverpool Institute for the Performing Arts under the patronage of Paul McCartney. 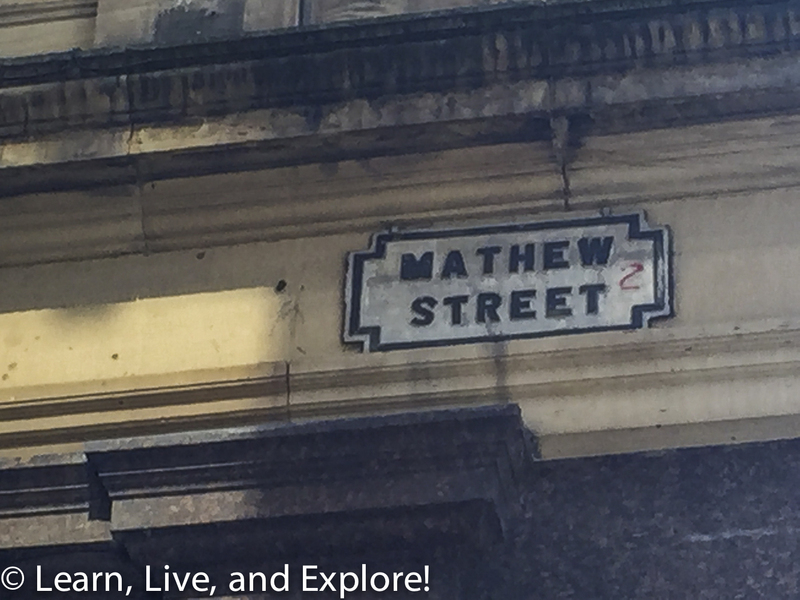 The final stop on the tour, and the drop off point, was Matthew Street in downtown Liverpool. 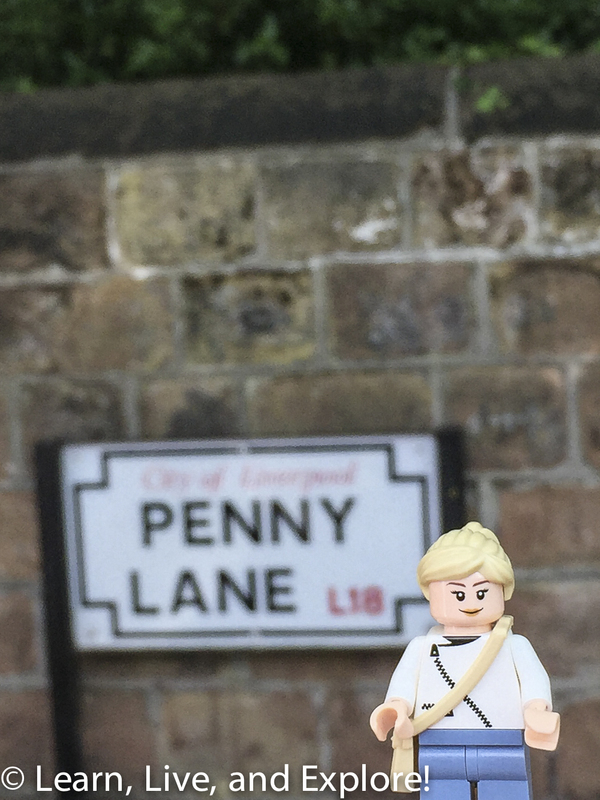 This street is a major part of Beatles lore. It is the site of the popular Cavern Club (10 Matthew Street) where The Beatles played 292 times from February 1961 through August 1963. 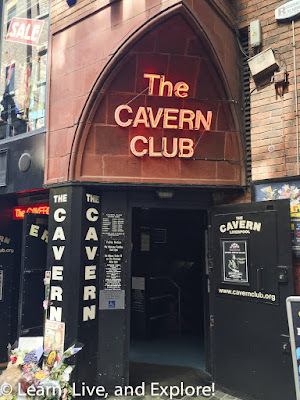 The Cavern Club also hosted many other big names in music, including Eric Clapton, The Who, The Kinks, The Rolling Stones, Queen, and Elton John to name a few. 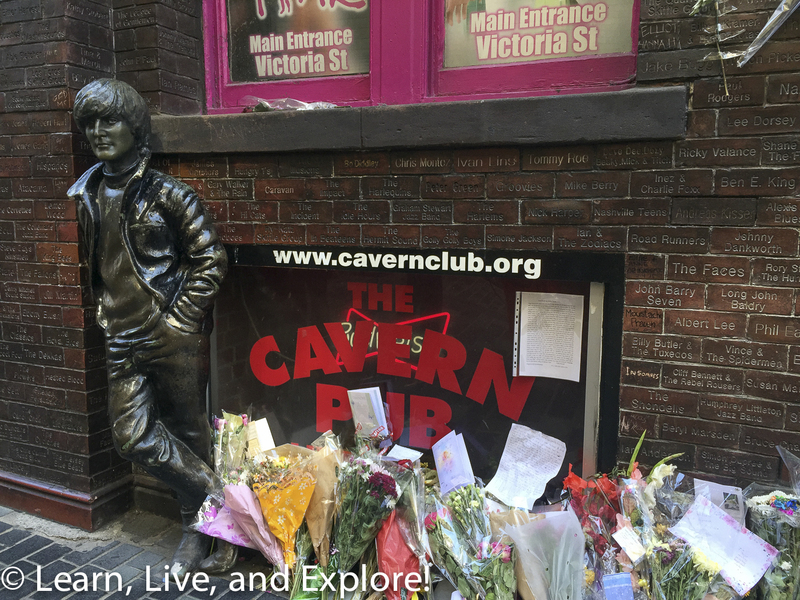 Memorials to the former "hat check" girl, Cilla Black, were everywhere on the street and in the club. Cilla Black just passed away earlier this month on August 1. Today, you can still catch live music at The Cavern Club throughout the day. 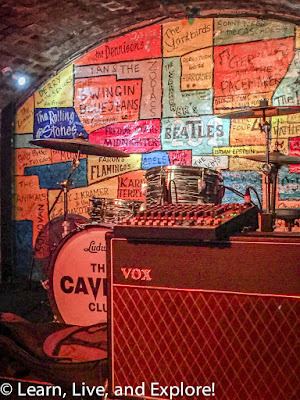 The interior has been refurbished to its 1960s appearance after a period when the whole interior of this basement club was destroyed after the building above it was demolished. In the 1980s, the debris was cleared out and original bricks were used to repair the damage and bring it back to its arched design. 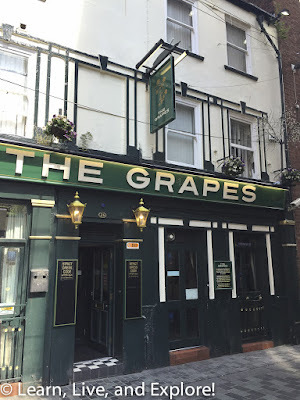 One other Beatles stop on Matthew Street is The Grapes pub, where the band would go after their set to drink since The Cavern Club did not have a liquor license. 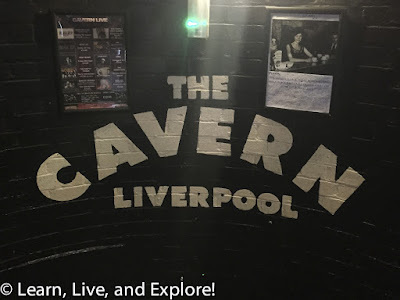 Other notable Liverpool Beatles places not pictured here because either they no longer exist, the bus tour didn't cover it, or it was on the right side of the bus! Darn you left side only photos! Lime Street - Mentioned in the song, "Maggie Mae," on the Let It Be album. The Jacaranda Club at 23 Slater Street - this club is still open and still has the mural painted by John and Stuart. 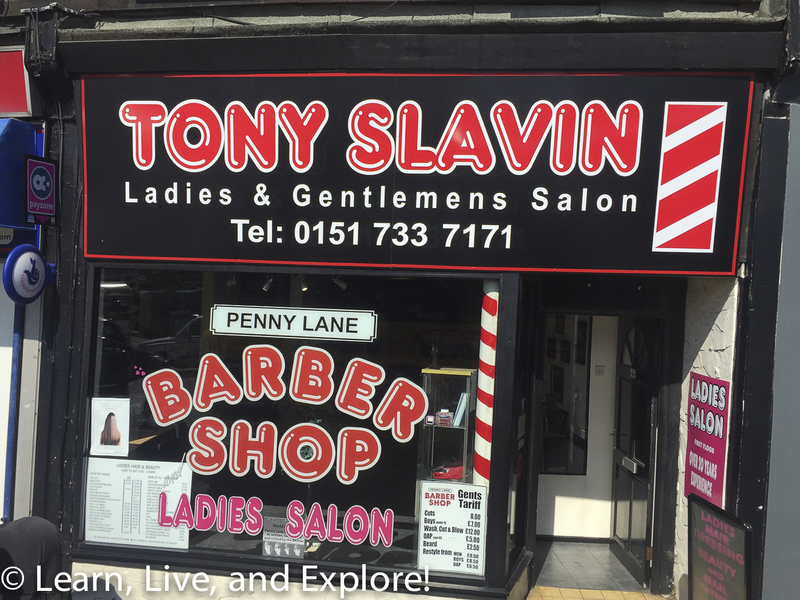 It was owned by The Beatles' first manager. The band also played there in their early years, prior to their record deal with EMI. Mount Pleasant Registry Office at 64 Mount Street - This is where John wed Cynthia in 1962 after Cynthia had the news she was pregnant with their son, Julian Lennon. Oxford Street Maternity Hospital - John was born in this former hospital. 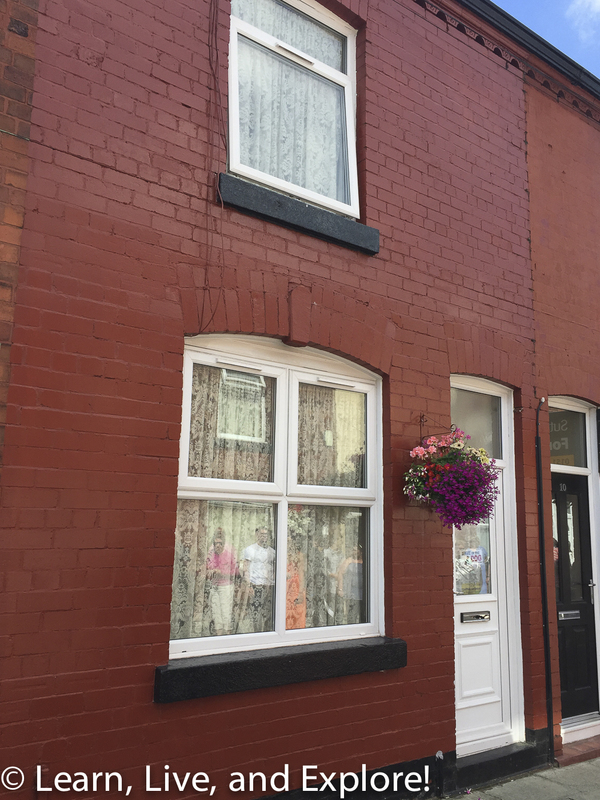 3 Gambier Terrace - John Lennon and Stuart Sutcliffe's apartment during Art College. 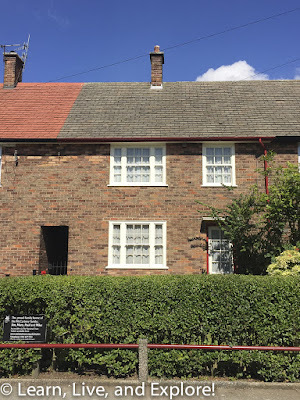 9 Newcastle Road - John Lennon lived in this house with his mom, Julia, and grandparents before it was determined he would be better living with his Aunt Mimi. 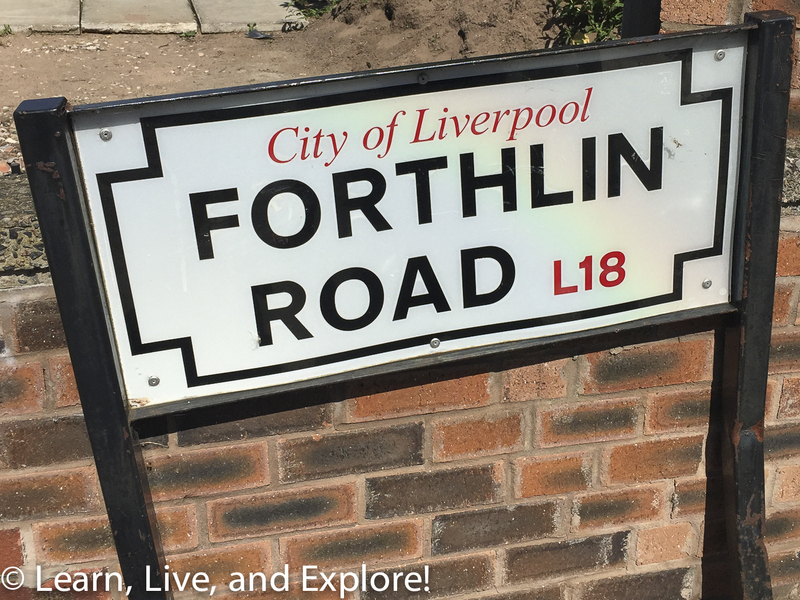 Quarrybank School on Harthill Road - John Lennon's school where he founded The Quarrymen. The Casbah at 8 Haymen's Green in West Derby - This was a club owned by Pete Best's family. The Quarrymen played opening night in 1959, then continued to play regularly until it closed in 1962. 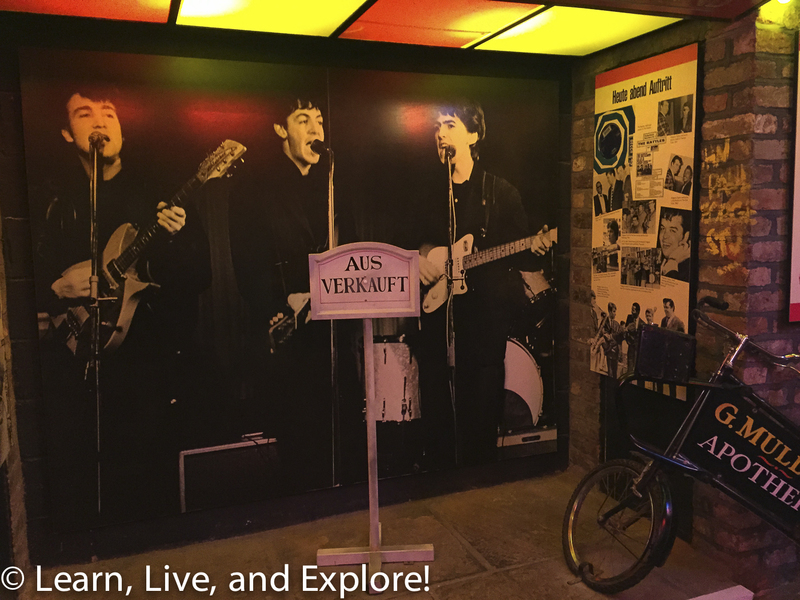 The Beatles helped to popularize the club, and even contributed to the paintings on the wall. 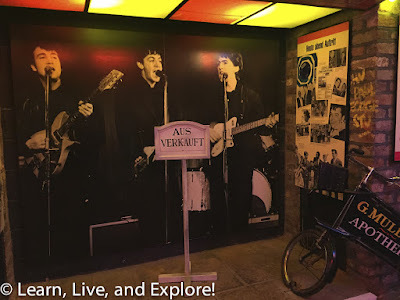 Pete Best played with the band through their tour in Hamburg until he was removed as The Beatles' drummer - conveniently two months after his family's club closed in 1962 - when EMI producer, George Martin, suggested using a session drummer which escalated to Brian Epstein dismissing Best for, still, unspecific reasons. The Casbah has reopened for tourists. While on the bus, I kept marveling about the huge influence of The Beatles. The only other musical act that I could think of with the same draw, longevity, etc. is Elvis. Besides those two acts, there is no one else that compels people to travel from around the world just to visit the town that started it all. It absolutely goes to show the great depth and breadth of their appeal. And it makes me wonder if there are any current artists that come close or will ever come close; the answer is a big, fat, bold-face and underlined: NO!! It will always be a mystery the exact combination of who they were, what they did, when they did it, etc. that produced this magical result. A continue to be in awe and in adoration!